The door on the left now forms the entrance to the School reception. 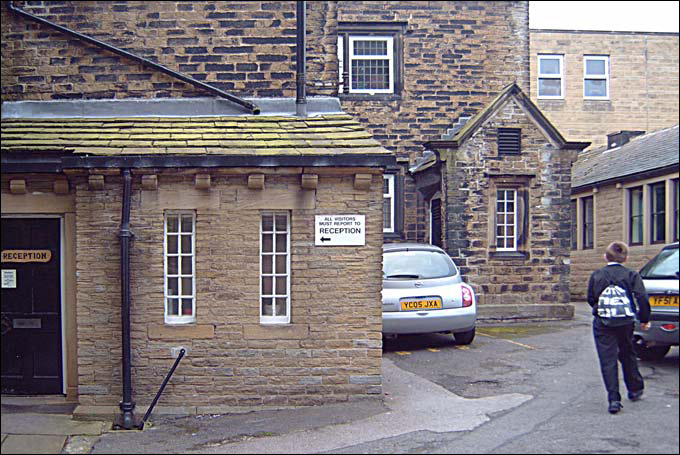 Beyond it, to the right, is the curious entrance porch into the ODH (originally the entrance to the Schoolroom and the subject of one of Edward Akroyd's drawings elsewhere on this website). It's can surely be no coincidence that the porch bears a remarkable ressemblance to the gable end of the 'Cloisters': only about 20 years separated their construction in the mid-1800s. On the extreme right, the former wooden dining room has now been clad in stone to provide further much-needed school accommodation.